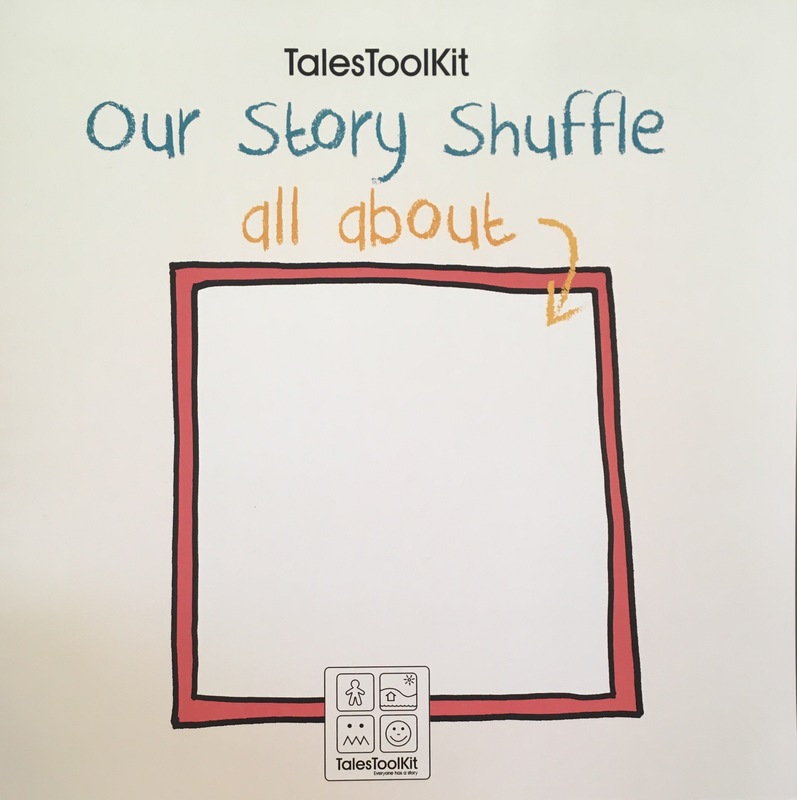 I was delighted to discover this wonderful resource ‘The Shuffle Book’ by Tales Toolkit. 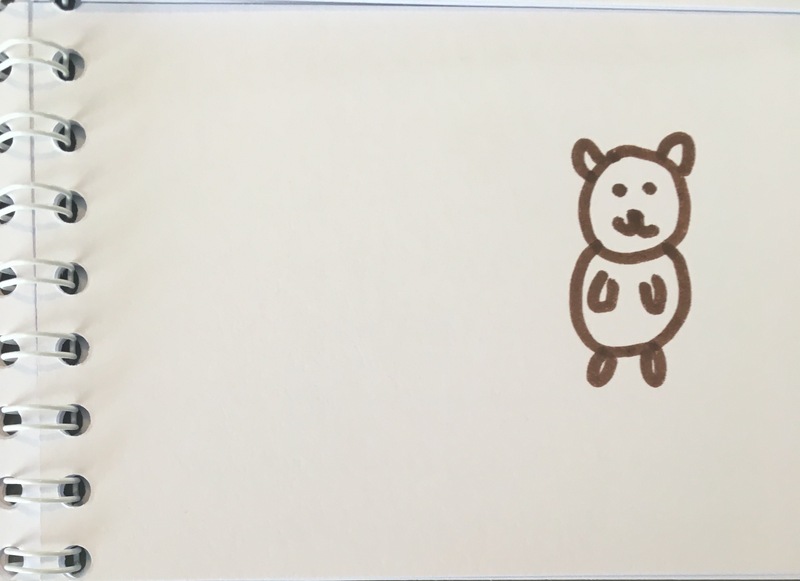 A simple and effective idea that provides structure to enable children to create their own stories. 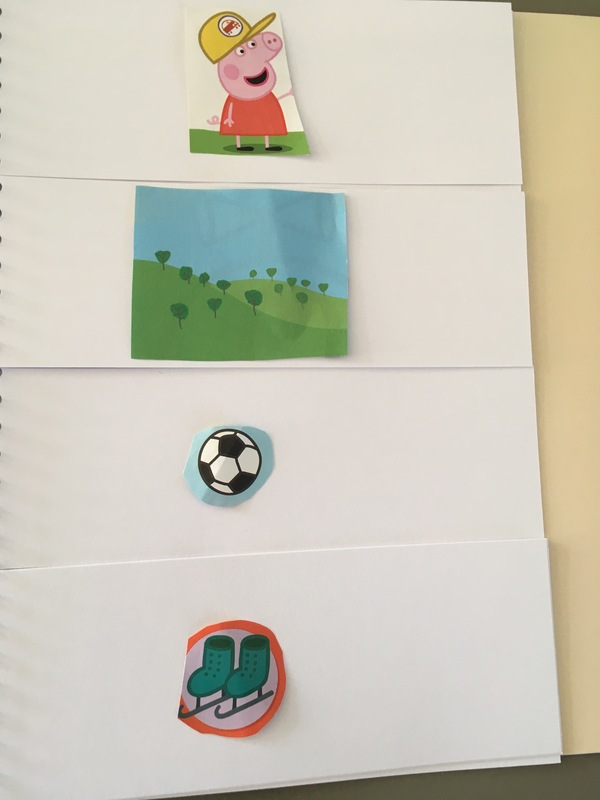 Encourage the child to flip through the book you’ve created to choose their character, setting, problem and solution at random for their story! It’s brilliant as you can mix up stories and move the pages. 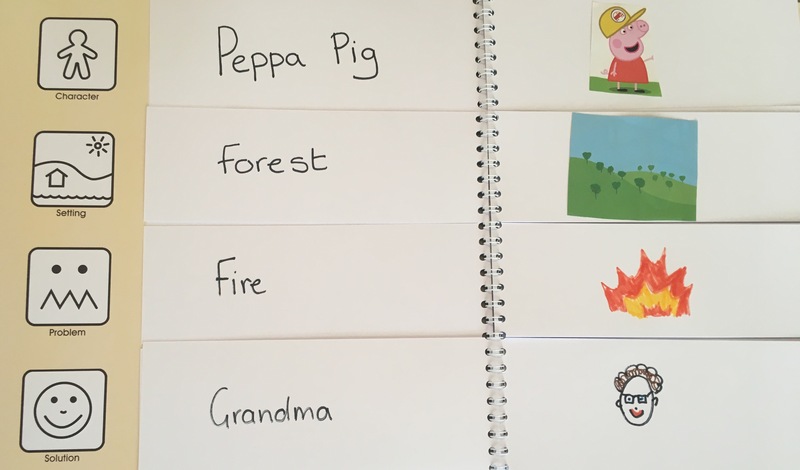 The lovely people at Tales Toolkit have worked out that you can create over 100 story combinations with their shuffle book! Which is hours of fun and learning! Simple Idea: I loved the simplicity of this resource. The activity involves practically no planning as it’s child led- freeing up precious teacher time. Fun– As with most things that are led by children, it’s such a fun activity. We were in fits of giggles with the hilarious stories we created! Our favourite story was Batman getting locked in the post office and having to call a teddy for help! 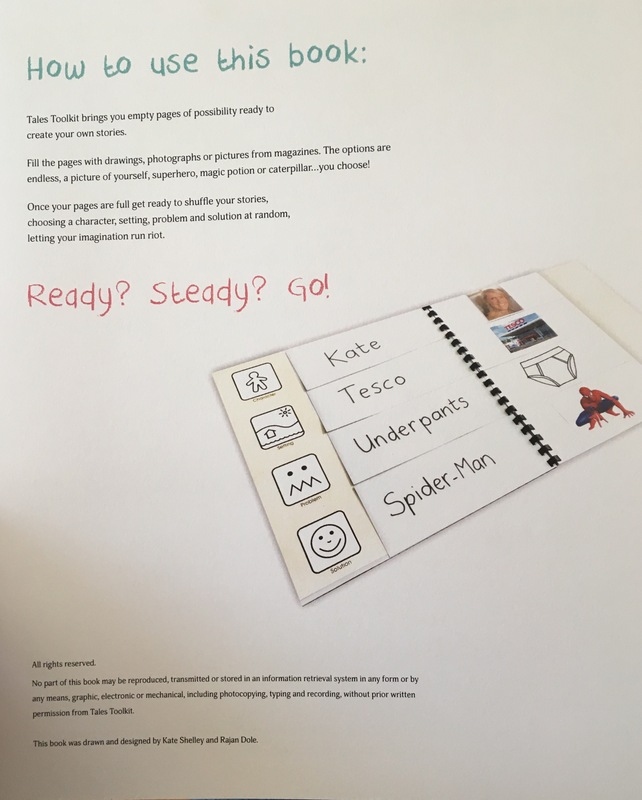 The children’s look on their faces when they turned the shuffle book pages to discover that ‘teddy’ was going to be their solution- was priceless! 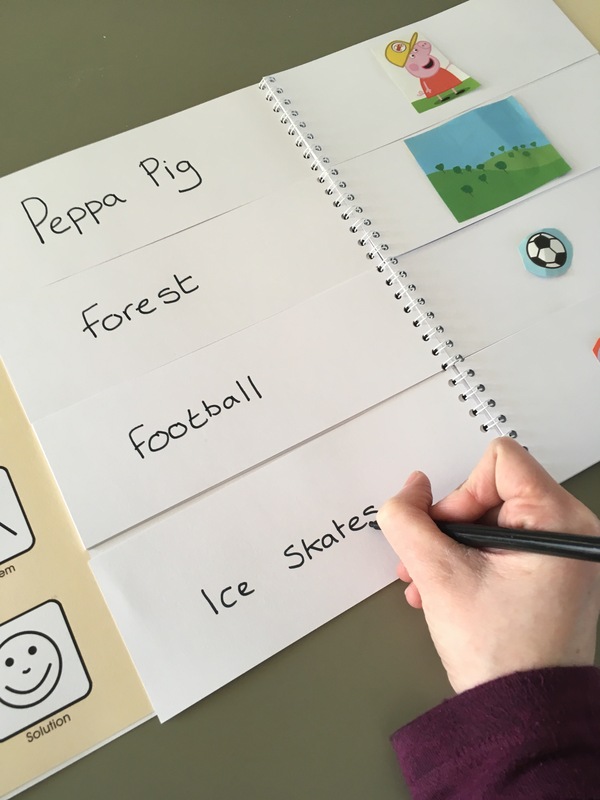 Pride– What is fantastic about Tales Toolkit’s Shuffle Book is that children gain ownership of the activity, it becomes their own book and they take pride in the amazing stories they create. Little things mean the world to children and we found that having a picture of their choosing on the front cover really did. Easily Differentiated- This book can be used for such a wide range of ages and abilities. It is open ended which enables it to be differentiated easily by outcome. It can be used on a basic level to create and talk about a story together or it can extended to be the starting point of a written story. Encourages A Love of Story Telling & Books– Creative writing and story telling is a wonderful activity for children but so often they are daunted and put off with a blank page. This resource provides the structure and prompts that children crave. Imagination & Creative Thinking- It’s often hard for children to come up with original ideas for stories, instead they sometimes repeat things they’ve heard or read. But children have wonderful imaginations and this resource helps harness them by giving children structure and prompts. 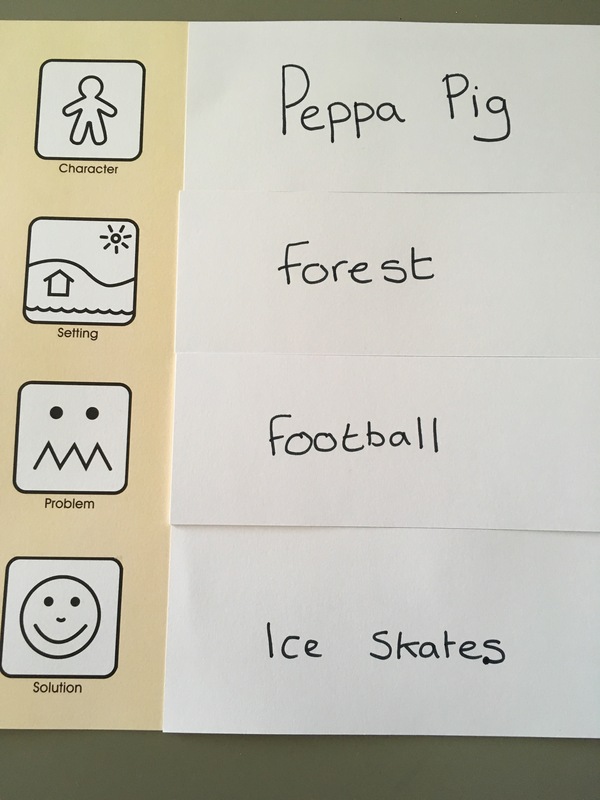 Communication Skills- It’s a brilliant tool for getting children talking about their ideas and developing communication skills. Confidence– We found that this resource helps to build confidence. I’ve been that child that has an idea but is afraid of it being the wrong answer. By having a book with ideas of the character, setting etc for their story there is no wrong answer. Problem Solving – Children have to explain the solution to a pretend problem chosen at random in the shuffle book. A great mechanism for helping children to learn how to problem solve. 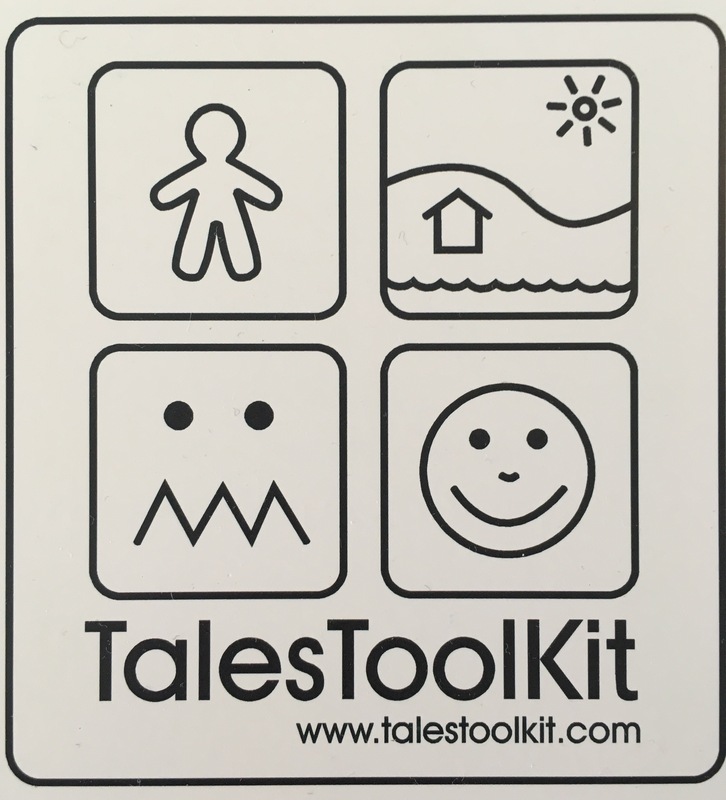 Have a look at Tales Toolkit’s Website here. Please note this blog post is sponsored and we also received a sample of the product for review. However, all thoughts and opinions are our own. Thanks- it’s brilliant, fantastic for helping children learn to write creatively. #thesatsesh anything that helps build imagination and inspire writing – I’m all over it! Love the idea of being able to add your own images etc. to what the child likes. So simple…thanks for joining us.